In recent years, Goldcrest has become a firm favourite with gardeners due to ability to grow and thrive in a wide range of conditions. It is very easy to care for, and is even happy growing in coastal areas. 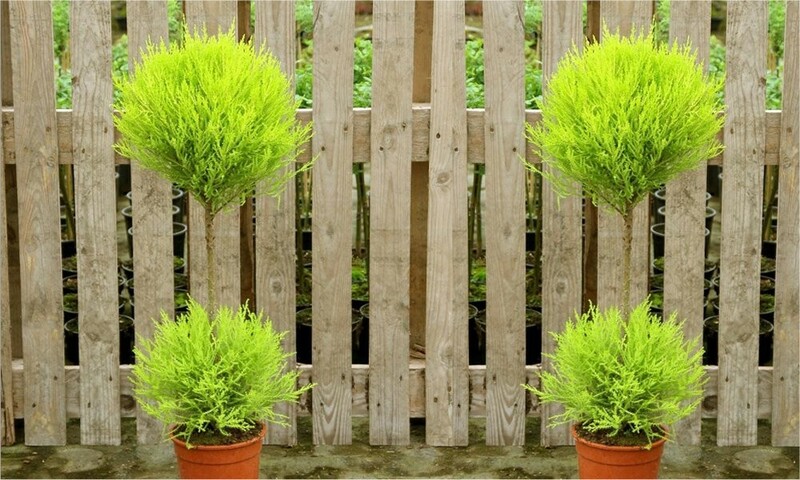 These Duo-Ball forms are perfect paraded together as a pair or simply used as stand alone specimens to punctuate different areas of the garden. 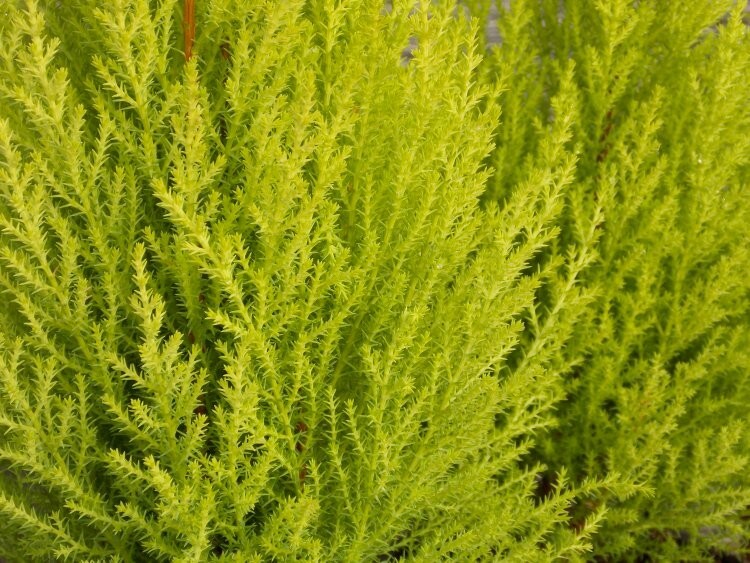 With the striking bright golden foliage and lemon fragrance, they will make a welcome addition to any garden, giving years of pleasure. 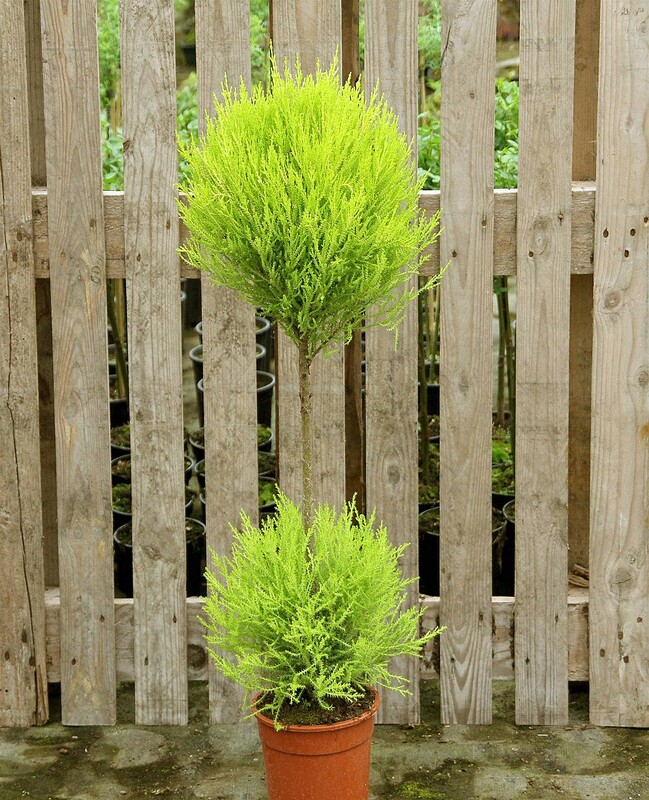 Goldcrest usually has a narrow, columnar habit and rich yellow, feathery foliage, but we have carefully grown and shaped these trees so all you have to do is give an occasional trim to maintain the shape. All of the hard work has been done already, simply plant and enjoy. The vivid foliage of these also provides a wonderful contrast to darker plants, and looks particularly good in the winter months when many other plants are out of leaf. Remaining dense and compact, this could be the perfect specimen plant to form a dramatic avenue, or simply as a feature plant on its own, punctuating a pathway, entrance or set of steps.